“Punta Cana is the nearest point to paradise in the middle of nowhere.” That’s how Olivier Brizon describes his home of the past eight years, located on the southeastern tip of the Dominican Republic. 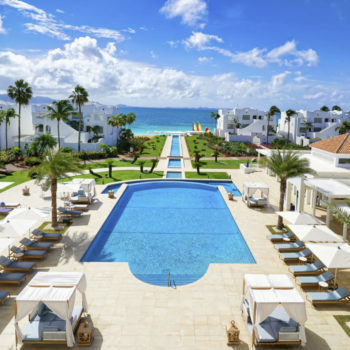 Brizon, the Director of Golf at Punta Cana’s La Cana Golf Course, noted that in 2011, “nowhere” had over two million tourists hit its shores seeking sun, surf, and increasingly, golf. 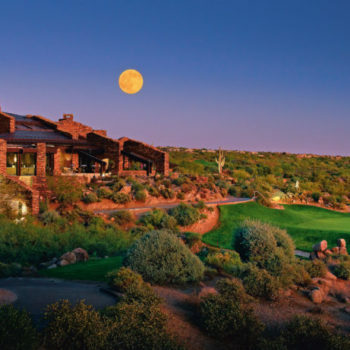 A major factor in the area’s growing popularity is a surge in the building of world-class golf courses designed by some of the biggest names in the industry. One such name is golf architect P.B. Dye. The son of famed course designer Pete Dye, P.B. spent a significant portion of his childhood in the Dominican learning his craft under the tutelage of his father. 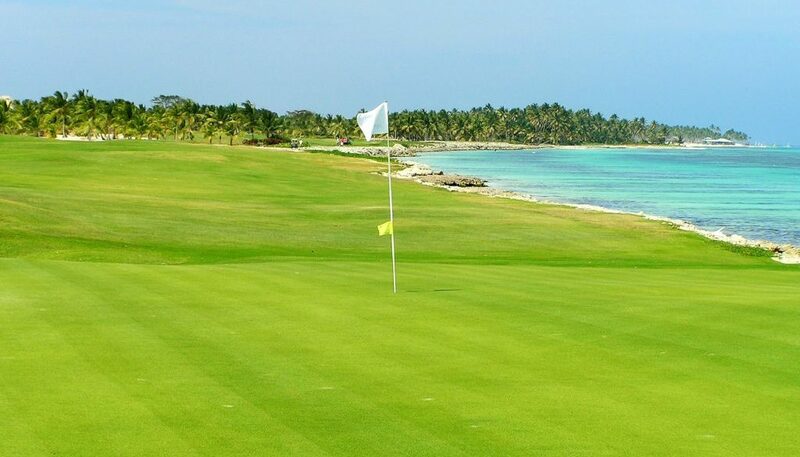 In 2000, the younger Dye placed his personal imprint on Punta Cana by constructing La Cana, a 7,100-yard seaside beauty. Punta Cana could easily be the most remotely convenient golf destination on the planet. Vacationers arrive daily on direct flights from locales such as Paris, Milan, Madrid, and all over the U.S. and Canada. 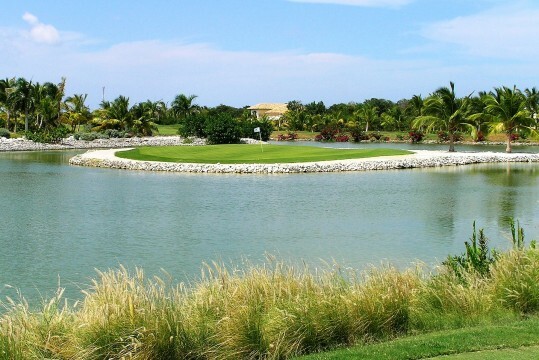 Upon landing at the Dominican’s most far-reaching outpost, La Cana Golf Course is just a 15 minute commute away. 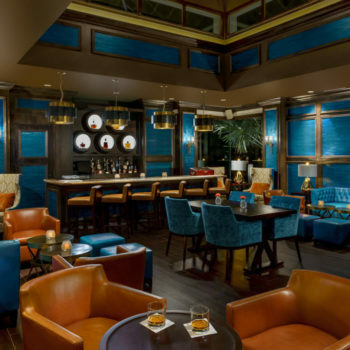 From its inception until today, the heart and soul of La Cana has been Brizon. The 60-year old native of Bordeaux, France, is passionate about golf, La Cana’s legacy, and most of all, his adopted country. 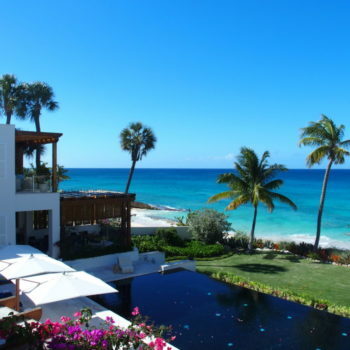 “The Dominican people are very kind and very welcoming. Their compassion for others and pride in their country easily make a newcomer feel at home,” Brizon said. A builder of over a dozen courses in Europe, the multi-lingual Brizon eloquently states what he feels separates an exceptional golf course from the rest. 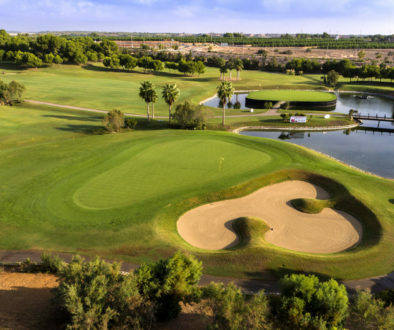 “A truly great course is one in which every hole is remembered, even if you’ve played it only once.” The soon to be retiring Brizon quietly nods when asked if La Cana exhibits this mesmerizing quality he holds so dear. 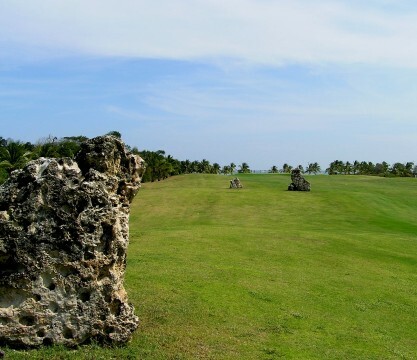 La Cana Golf Course is a panoramic watercolor painting of rolling slopes, uniquely sculpted greens, and dreamscape ocean views. 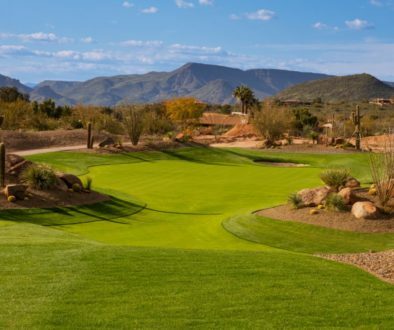 On the front nine, Dye’s course features a signature Par 4, 288-yard seventh hole, which is protected by no less than 21 pot bunkers. Not even the most fearless gambler would double down on that number. The good news is that a payoff of even greater riches exists on the back nine, a lure from which no gambler, nor golfer, can walk away. The 12th hole, a 146-yard Par 3, has an island green with enough water to cause a timid swimmer to turn back. Take note if your playing partner exchanges a new Titleist golf ball for one that is more, shall we say, buoyant. The 12th dares golfers to trust their swing and the yardage. The 16th hole, a 484-yard Par 4 from the black tees, almost never was. 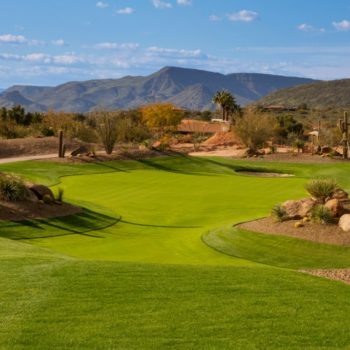 Ask Brizon about the three vertical stone monuments on the left side of the fairway and the Frenchman’s eyes light up like the Eiffel Tower on New Year’s Eve. The original 16th hole was where P.B. Dye and course owner Frank Rainieri had a difference of opinion on what worked. A large boulder on the side of the tee box was later unearthed and accidentally broke into three pieces. When the stones were ultimately positioned into their present state, Rainieri felt the hole was complete. After teeing off from the 17th hole, it’s time to do your best Dominican, 180-degree salsa move. In other words, look in the direction opposite the green. The view behind the tee box is drop dead gorgeous. 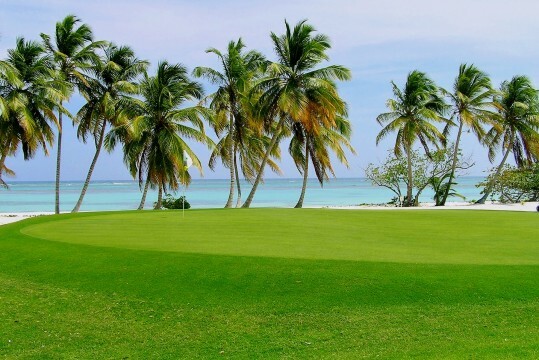 For some, the pure image of palm trees on the left and powder blue water on the right is enough to count La Cana’s green fees as priceless. 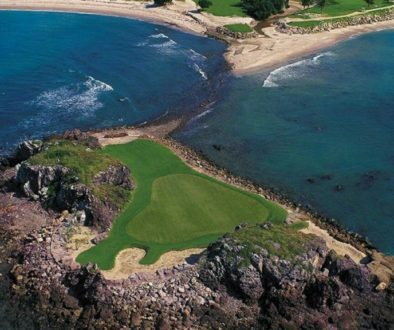 The Par 5, 553-yard finishing hole has been described as a Caribbean version of Pebble Beach’s 18th. With water on your left the full length of the hole, the 18th is an inspiring mix of environmental beauty and Dye’s landscape artistry. This hole is a digital snapshot that evokes one of those “thank goodness I brought my camera” kind of moments. Tim Cotroneo is a freelance writer from St. Paul, MN, with a passion for golf and all things Caribbean. A Golf Storyteller’s Dream Job	Punta Espada Golf – Nicklaus’ Best Ever?